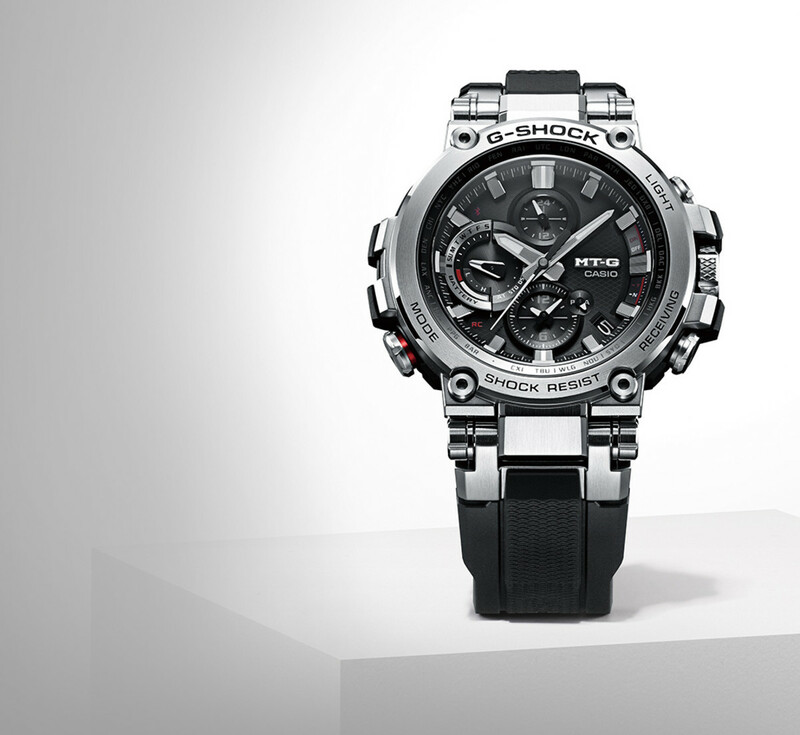 Casio serves up the latest developments in its MT-G series with a streamlined model that is even stronger and more connected. 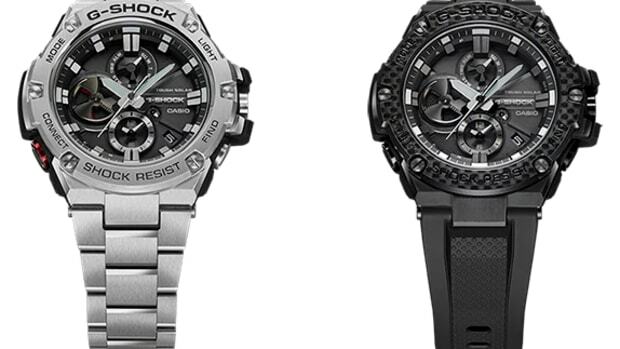 The watch features a metal core guard structure that wraps around the MT-G&apos;s carbon fiber-reinforced resin case. 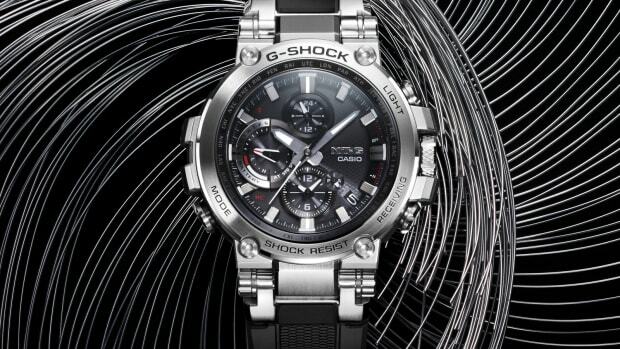 The watch is the first MT-G model to feature Smartphone Link and Multiband 6 so you&apos;ll always have the correct time. 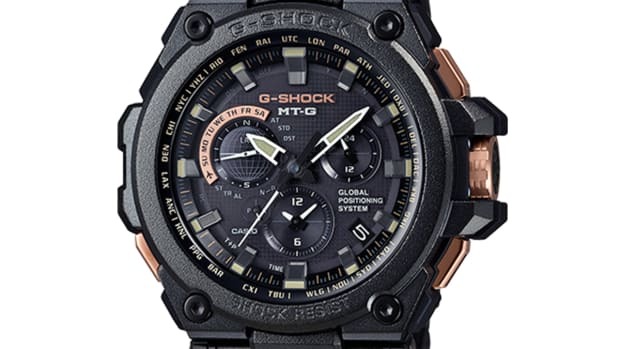 Other details include solar-powered timekeeping, dual dial world time, super illuminator LED, sapphire crystal, and a thick urethane watch band.